The information you reveal about yourself online could potentially influence the amount you pay for insurance. Predictive modelling schemes which look at information available on the internet could be introduced by insurers in the UK to determine the level of risk a customer poses to them. It’s rumoured that insurers are making such plans after studying the results of U.S trials carried out by Deloitte Consulting LLP. Analysis revealed the consumer data of 6,000 people was as useful in revealing potential health risks as sending customers for a blood or urine test. Social media, for example, could provide valuable info about your general health and in turn, your life expectancy. In the future, shouting about your excessively drunken weekends or constant partying on Facebook – could result in higher premiums. This is because certain insurers may see your lifestyle as having particular risk factors. Some analysts find that there are common factors within specific friendship circles or interest groups that have both positive and negative affects on life expectancy. These could all be revealed through a social media profile. 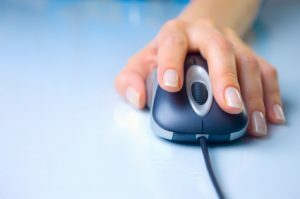 When quoting for a policy or investigating a claim, there are some firms out there who are already hitting the internet to research an applicant’s online behaviour. For other insurance companies, this is a new concept they’re hoping to introduce in the future. Insurers believe that online data collection could be a simple, effective way of finding out what they need to know without asking hundreds of questions. It could also help give a more accurate, rounded risk profile of a customer. Insurers are likely to purchase data from online market research and data collection companies. These organisations put together extensive databases of consumer information that’s pulled from various online sources. This can include social networking profiles, online sales forms, marketing polls or online surveys and subscriptions. Alongside this data collection, insurers could also team up with other types of provider– like banks, gyms and supermarkets to get a better understanding of people’s lifestyle choices and spending habits. Determining whether someone has a gym membership is fine, but finding out exactly how often they use their gym can give a much better indication of their fitness. Similarly, your weekly petrol purchase can indicate how much you use your car and your average weekly alcohol purchase could indicate how much you tend to drink. There will be many people out there who feel this is intrusive and a violation of their privacy. However, insurers will normally pledge never to use online third-party data without the customer’s permission. Although, when it comes to permission, you may be unwittingly allowing your personal data to be used by forgetting to check the tick boxes at the bottom of certain forms.